Nuts and bolts Alfa 75 suspension. I am restoring an Alfa 75 1.8 IE. The suspension and the rest is removed. The guy who removed everthing throw all the bolts and nuts in one bucket. Now the bottom of the car is ready to buildt it up again ,but now i dont know where the nuts and bolds belong. I am working on the frontsuspension and i want to know wich bolds and nuts i need. Is there a reference to look this up ? The workshopmanuals en Eper are no help. Re: Nuts and bolts Alfa 75 suspension. If you use the attached photo as a guide to start the assembly. You can then ask again with a more specific question if you need help, There are many people on this forum that are more than willing to help. I have added some nut and bolt spanner sizes to the drawing to help you get things started. Different component manufacturers sometimes use different sized fasteners so this is only a guide. I am having a bit problems to assemble number 4 and 14, how can they do that. At the moment I am away from home, having a short break from the daily routine when I return I will take some photos and explain how I install the top control arm and the bolt position. The top control arm bolt passes through the shock tower inside the engine compartment. The shock tower has a Y section that travels up and back towards the A-pillar if you run your hand down and underneath the Y you will feel an egg-shaped hole. The top control arm bolt goes into that hole then through the shock tower. I put the bolt through the tower and the nut on the other side. 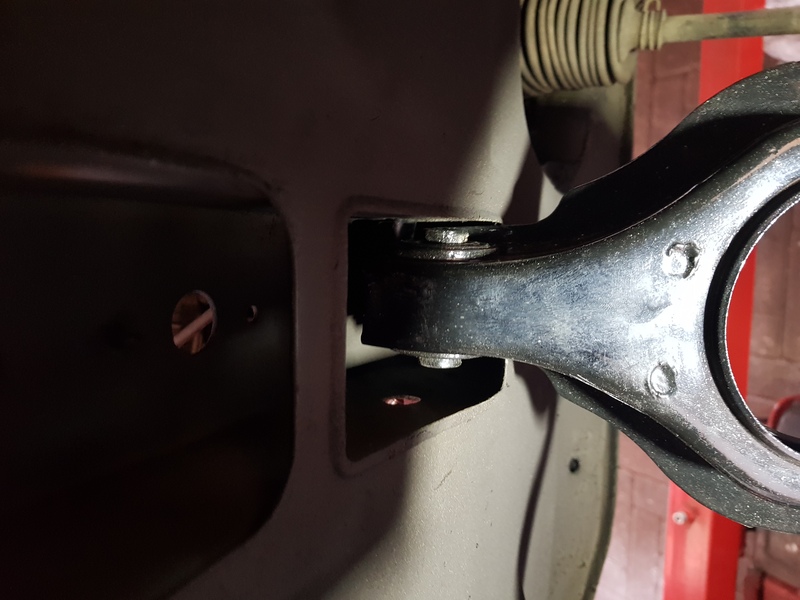 I use a small 1/4 drive socket with a 100mm extension to access the depth of the hole in the Y section then guide it into the shock tower then through the upper control arm bush then out the other side for the nut to be secured. I will let you know when i did the assembly. But on the left side it seems to be missing some parts. There is a gap between the car and the upperlink. On the right side its oke. There must be a ring in that spot.